Bunnies are a firm favourite with toddlers and babies. 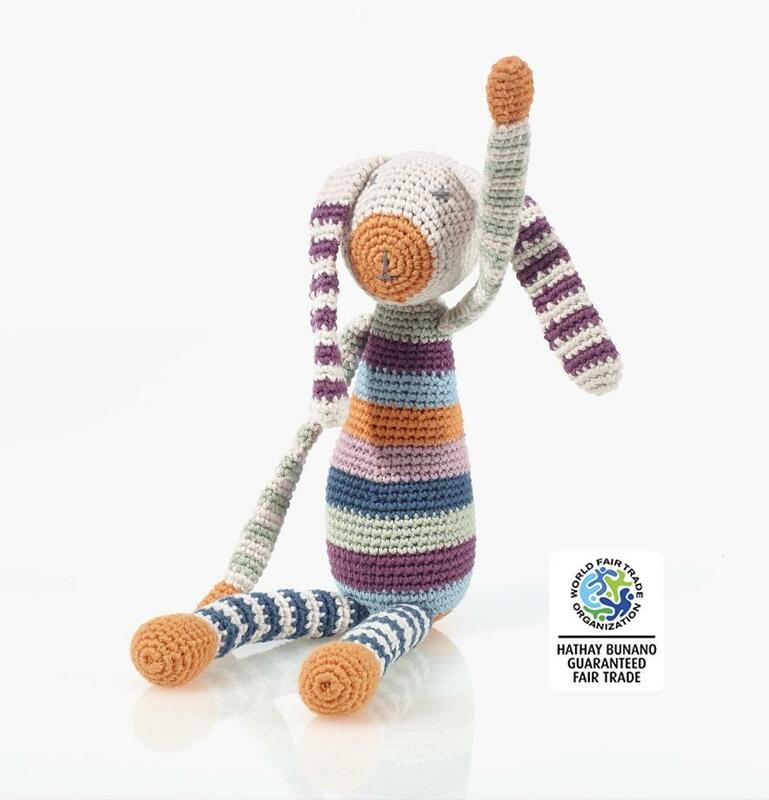 This organic multi stripe bunny has gorgeous purple and blue stripes picked out in orange. This would make an ideal gift for baby's first Xmas.